The project was initiated for the large Chavín exhibition at the Museum Rietberg in Zürich. 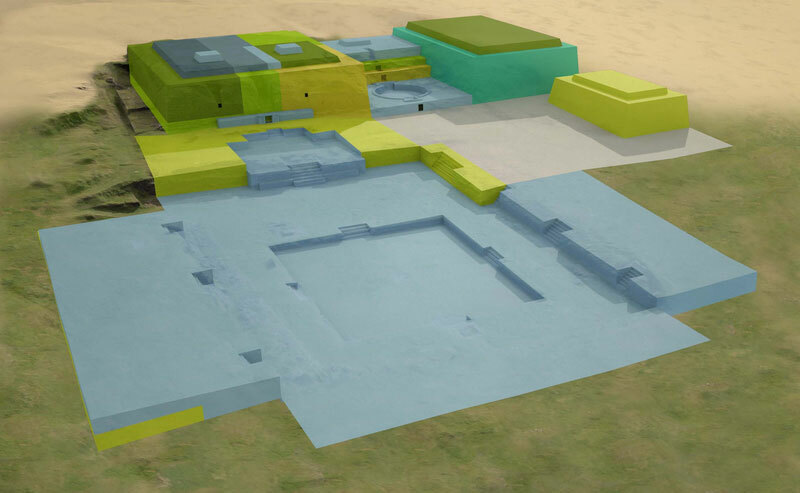 Its core is a 3D documentation of the ceremonial temple complex in the Andes (3,200m high) along with some important stone monuments of the Chavín culture. These scans were the basis for multimedia exhibition contents as well as further research and restoration purposes. 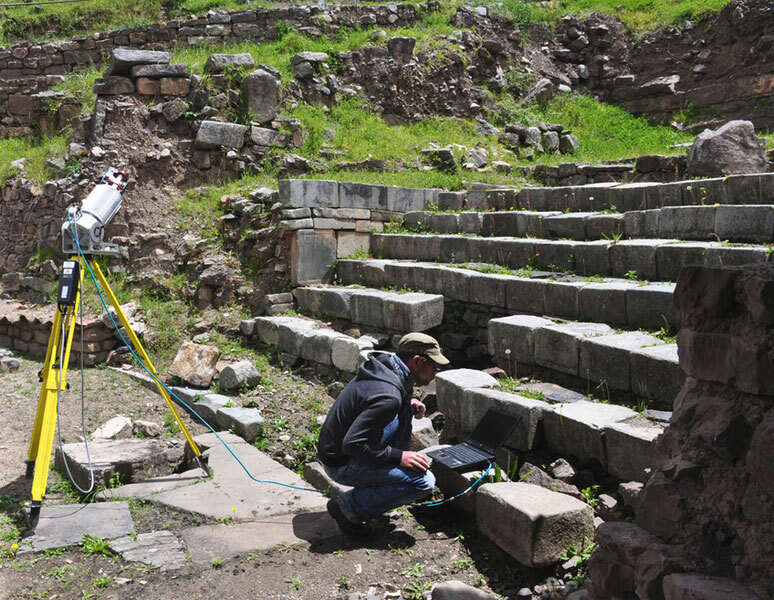 Different technologies were deployed for the project: high-resolution structured light scanning, terrestrial laser scanning and “structure from motion” 3D photogrammetry. 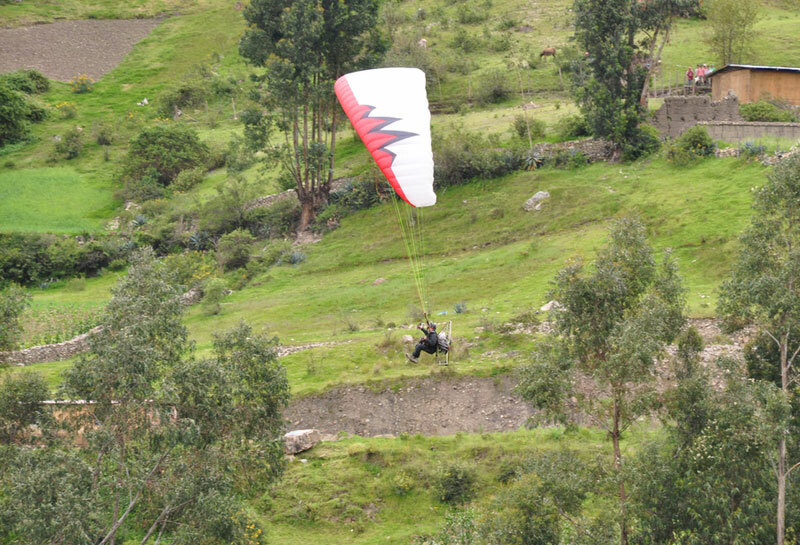 Airborne 3D photogrammetry was carried out using a powerful octocopter and a motorized paraglider. Scanning the temple complex took three people less than three weeks. 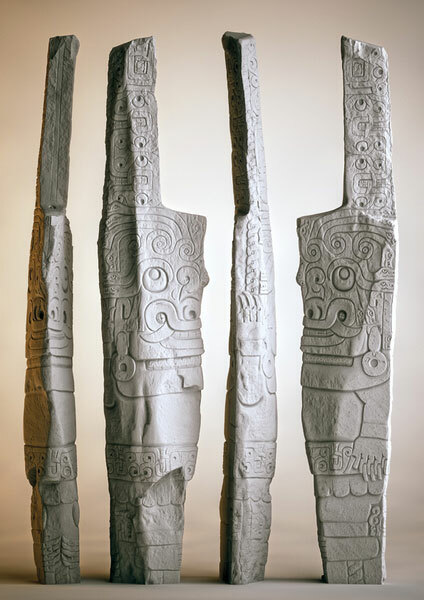 Single objects of national Peruvian importance, like the Tello obelisk, the monumental Lanzón cult statue and some Chavín reliefs were also scanned with submillimeter accuracy. A monumental CNC-milled 1:1 replica of the 4m high statue ”Lanzón” was constructed according to the scanning data. Our multimedia specialists created different multimedia installations, visualizations and a virtual reconstruction of the temple for a 15 minute 3D documentary. The exhibition catalogue was enriched with many maps, figures, reconstructions and impressive aerial images. 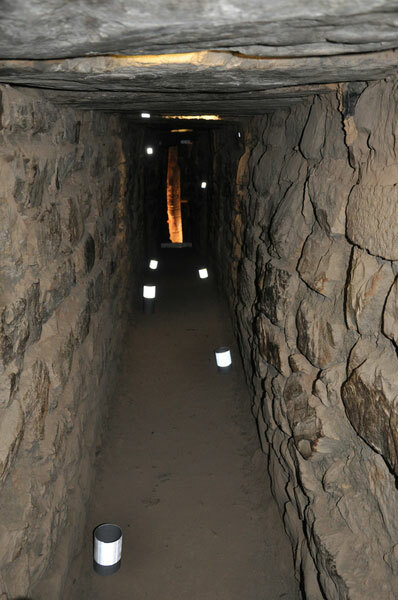 A Swiss TV crew accompanied the 3D documentation work at Chavín. 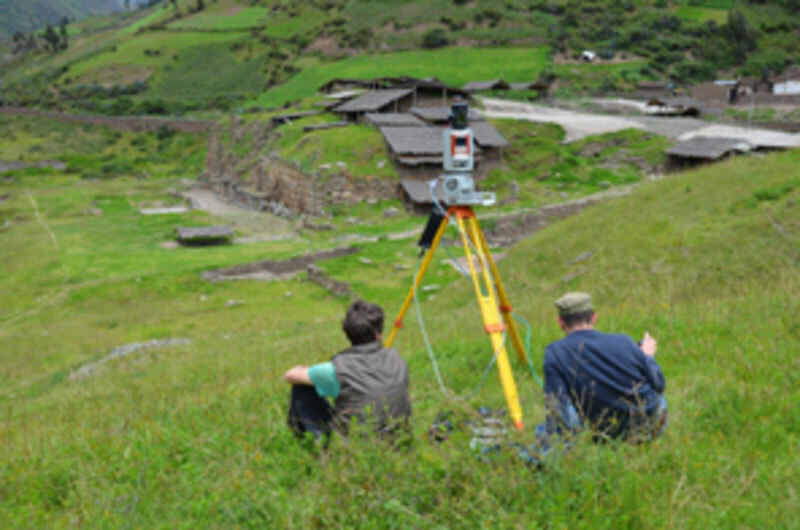 The 11-minute report can be seen here: SRF film “Digitizing an Andes temple” (German language). The temple complex of Chavín de Huántar discovered at the beginning of the 20th century lies in the Peruvian region of Áncash at about 3200m above sea level. 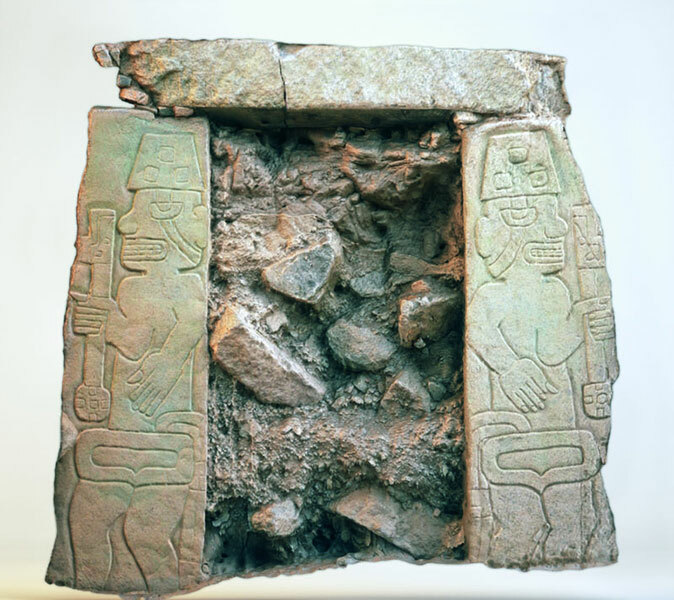 It originates from the 2nd and 1st centuries BC. and is regarded as the centre of the Andean mother culture named after her. In addition to the complex itself, it is above all the relieved stone sculptures that are of supra-regional importance, with the statue of the gods of Lanzón and the Tello obelisk being particularly noteworthy here. On the latter the oldest known representation of a cosmological concept could be identified. 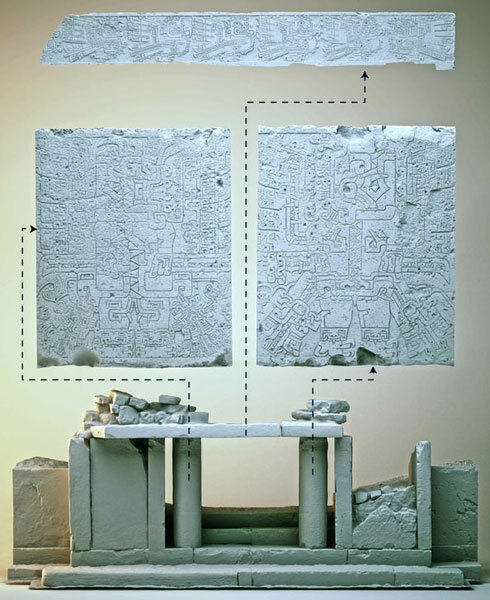 For the exhibition “Chavin – Peru’s Mysterious Andean Temple” at the Rietberg Museum in Zurich, the multimedia specialists from ArcTron have now realised a virtual reconstruction of the complex in its most recent construction phase, based on the survey results compiled in spring 2012. All available data was sifted in cooperation with the surveyors and prepared for further processing. An almost 20-minute film dealt with the construction history of the installation and its special features such as the intentional construction in the exposed location at the confluence of two mountain streams. In addition, cosmological connections and the construction along two different axes were presented in order to present a highly detailed picture of the cultic actions and processes. The chosen indiviual would follow a temple priest inside the sanctuary, having been intoxicated by drugs, where they would receive the highest honour of viewing the monolith of the Lanzón.